The Audi has decided to launch the RS6 Avant a high-performance station wagon in the Indian market. 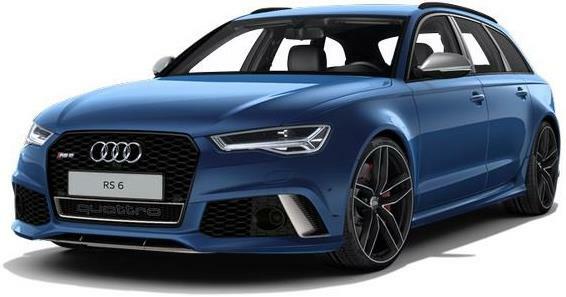 Audi RS6 Avant is powered by a 4.0 Litre V8 unit which generates a humungous amount of power and torque which was mated to an eight speed Tiptronic transmission which sends power to all the 4 wheels. This engine is actually capable of propelling this huge station Wagon from 0-100 km/h mark in just 3.9 seconds while this also has a top speed of 309km/h mark. As of Performance, the RS6 Avant lacks with an impressive amount of weight and which has helped it to perform even better on road. This vehicle marks the best record which easily reaches 0-100 km/h mark in just 3.9 seconds while it has a top speed of about 309 Km/h which is absolutely amazing. The RS6 Avant used to be powered by a V10 unit which provided an impressive amount of power and torque so to avoid the guzzling effect of oil it has used a smaller 4.0 Litre V8 this time which is capable of producing an impressive amount of power and torque to be exact the RS6 Avant has the capability of producing an impressive 560 Hp of peak power at 5600 rpm and an impressive 700 NM of torque from as low as 1, 750 rpm. The engine has been mated to an eight-speed Tiptronic transmission which delivers power to all the 4 wheels and it also gets a Quattro all wheel drive system which makes this station wagon drivable in all weather conditions. As of handling capability, it has been fitted with adaptive air suspension system which lowers the body height by almost 200 mm by considering the Indian roads on a mind. The RS6 Avant also gets huge brakes as well which is capable of stopping this car on a dime. The RS6 Avant interiors are not as best as expected but it looks premium and also gets plenty of equipment inside. The dash looks simple and the retractable (fold-up) 8-inch display unit gets fluid and crystal clear LCD display. The rest of the dash with the hint of aluminum looks descent while the instrument cluster, in particular, looks sporty. The flat bottomed three spoke steering wheel covered in leather definitely looks good too. Coming to the seats they are pretty comfortable and trendy as well. while the driver seats get the electrical adjustments which help to find a proper driving position. The second-row seats look comparatively smaller and although it has plenty of leg and knee room on offer the taller person might lack a little headroom towards the rear seats because of the low slung roof. The Audi offers a 565 Litres of boot space and while folding the rear seats it will get 1060 Litres of space. As of style quotient, the front of the vehicle has huge single unit grille which comes with the RS6 badge while there is also a Quattro badge towards the lower lip of the vehicle. The sharp headlamps get LED units which match well with the overall front, while Audi has also used a lot of silver elements not only towards the front but all over the car. Towards the side profile, we get to notice the wheel arches are curved in a beautiful manner to support those big 20-inch alloy wheels it employed a blacked out B and C pillar gives a glass house effect towards the side profile. This was launched in India at a price tag of Rs 1.35 crore (ex-showroom, Delhi).